Chili Lime Chicken Tenders Recipe - only 4 simple ingredients! Chicken, sweet chili sauce, lime juice and honey. Tons of great flavors! We ate this two days in a row - can't get enough of this simple grilled chicken recipe! This time of year we grill out at least three nights a week, so I am always looking for new chicken marinades. I found this recipe on Pinterest. It looked amazing. The original recipe cooks the chicken in a skillet. I changed it up a bit and made it a grilling recipe. Y'all, this was incredibly delicious! 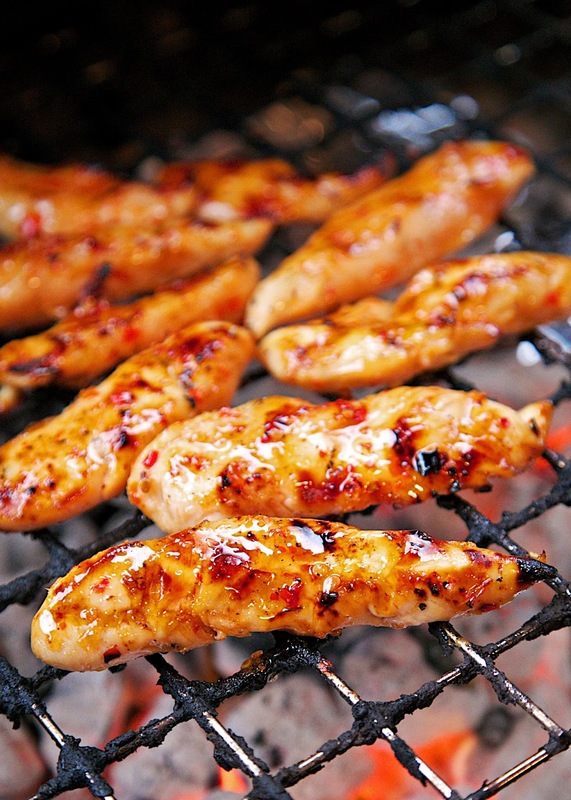 The chicken is marinated in a sweet chili sauce, lime and honey mixture. It was sweet without being overly sweet. We had some leftover chicken that we ate for lunch the next day. It tasted great. These chicken tenders would also be great chopped up in tacos or a salad. You can't beat a quick 4-ingredient grilled chicken recipe! Whisk together sweet chili sauce, lime juice and honey. Reserve 1/4 cup of sauce and pour remaining sauce over chicken tenders. Marinate in the refrigerator at least 30 minutes, up to overnight. 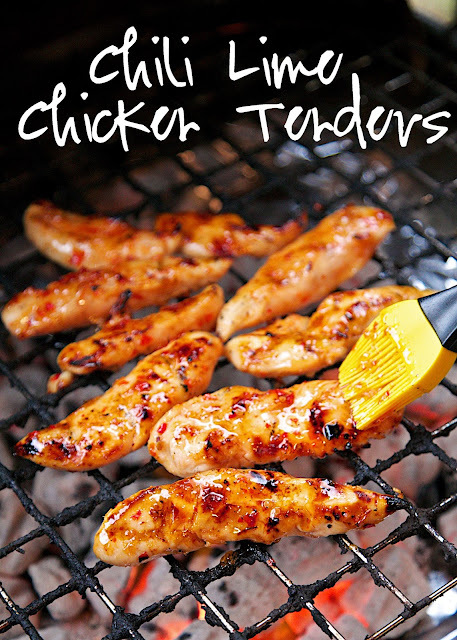 Looks yummy and I just bought some tenders this weekend! What is a sweet chili sauce? I know that's probably a dumb question but I guess I've never seen it at the store or looked for it. It is in the Asian section - it will say Sweet Chili Sauce on the bottle. Frank's also makes Sweet Chili Sauce - it will be near the BBQ Sauce and the Frank's Hot Sauce.